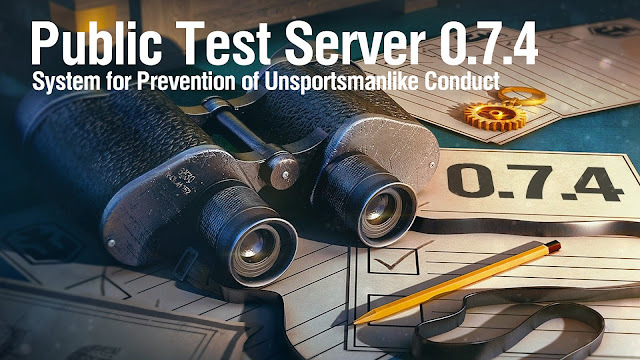 Home » PTS , Rules , world of warships » World of Warships - PTS 0.7.4 - System for Prevention of Unsportsmanlike Conduct. World of Warships - PTS 0.7.4 - System for Prevention of Unsportsmanlike Conduct. World of Warships is a game in which players team up for a single purpose, outfighting the opponent at sea and in the air. But let's make it clear, players are all human. We all have emotions, and sometimes tempers can flare. 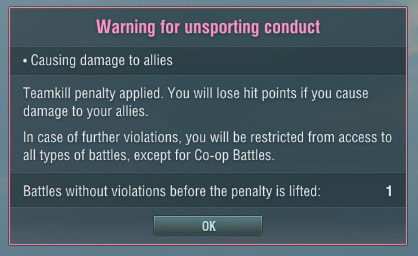 It definitely won't do any good to your team if you miss a teammate's manoeuvre and send your torpedoes right into his path, or if you succumb to anger or frustration and send a salvo at your ally, or if you forget that you've already pressed the "Battle" button and go do something else. In World of Warships, we've always kept an eagle eye on players and tried to act when their behaviour does not always correspond to the rules of the game. The upcoming Update 0.7.4 introduces an enhanced tool for tracking offenders, increasing the responsiveness of our violations system, which brings it to a whole new level. If it's white, the player has not committed any violations recently. A nickname that's gone pink means the player has had a warning and should mend their [in-game] manners. The colour orange means the player has been punished for foul conduct. For violation of the rules, AFK/sleeping status in battle or fire at allies, the system will display a warning in the Port, informing the player of a change in their status and explaining the actions that caused the change. If the warning does not produce the desired effect and the player continues to violate the rules, the next step will be a ban on entry to certain types of battles, in particular, those where individual performance may affect the final result. 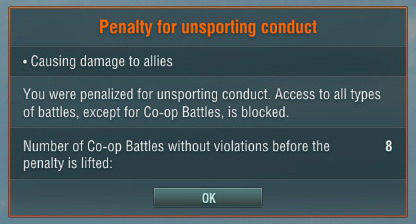 To be allowed access to encounters with real players in Random, Ranked and Scenario Battles, violators will have to play several Co-op battles against bots.